If you sell WordPress as a CMS you need to start working with Custom Post Types and Taxonomies. 1. You can do it using a plugin. It will allow all non-developers users create custom post types. 2. Or maybe you want to use your functions.php file and code it. 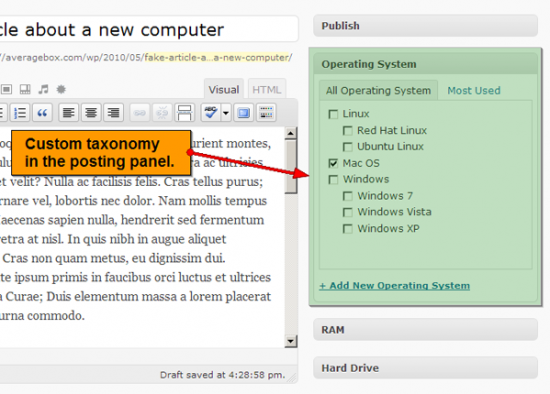 You can read the full documentation about custom post types in the WordPress Codex. You can set custom attributes to the Custom Post Types. You can have "movies" and then "actors". There is a full tutorial in net.tuts, take a look at it. Simply wish to say your article is as astounding. The clearness in your post is simply spectacular and i could assume you are an expert on this subject. Fine with your permission let me to grab your RSS feed to keep updated with forthcoming post. Thanks a million and please carry on the rewarding work. 4.787.571 post views so far. This page needed 45 queries to load.